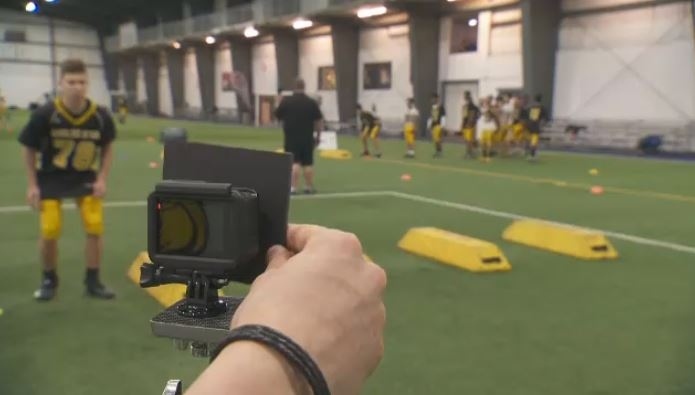 Dozens of students from Lachine took to the field Saturday to test out new technology intended to reduce the risk of concussions in contact football. Players from Dalbe-Viau High School in Lachine are taking part in a research program run by former student and player Allen Champagne. Each player is analyzed to break apart their game and improve technique – including footwork, speed, and tackling. A series of cameras and motion capture records everything, and the footage will be analyzed by experts in biomechanics. The hope is that even with contact, proper training can prevent serious injury. “Let’s make the game safer, without taking away what the game’s about,” Champagne added. Studies have shown high school athletes take longer to recover from concussions than older athletes. The University of Michigan concluded it can take teenagers more than twice as long to stop showing symptoms – a partial factor for a dip in high school football enrolment in the U.S. In the last decade, participation in the sport fell 4.5 per cent. “Parents are hesitant to put their kids in a sport where they’re going to be hitting each other,” explained Marie-Michelle Boulanger, an expert in applied child psychology working with McGill University. “A lot of kids are afraid because they see contact. You know, the point is to run at someone like you’re running into a wall,” she said. 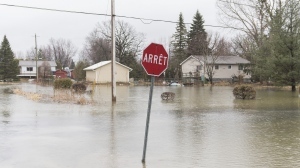 The program has already made the rounds of a dozen schools in Ontario, but this is its first time in Quebec. The goal is to have it in high schools across the country. Researchers say there’s no foolproof way to prevent concussions in football – but they hope the science behind the sport will ultimately change the way the game is played.